Everywhere you turn these days, new technology seeks to undermine both constitutional guarantees and basic assumptions of privacy, when you would normally and reasonably expect that you’re not being spied upon. After all, it’s one thing to put your entire life online in a series of social media posts; that happens by choice. But when devices you buy for one purpose turn out to serve the additional purpose of invading your privacy, that’s a problem. That data is of a spatial variety: The dimensions of a room as well as distances between sofas, tables, lamps and other home furnishings. To a tech industry eager to push ‘smart’ homes controlled by a variety of Internet-enabled devices, that space is the next frontier. Already connected devices like cameras for home security, smart-home lighting and thermostats are on the market. 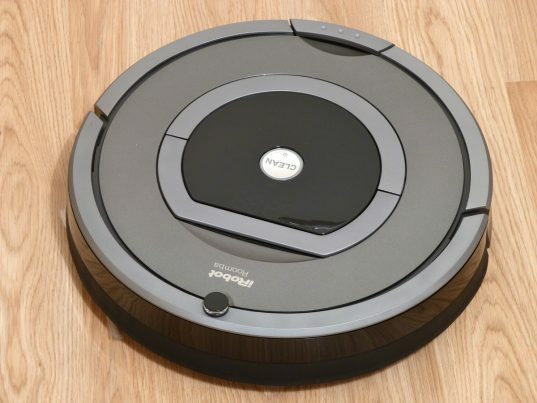 But the CEO of Roomba manufacturer iRobot Corp., Colin Angle, says even those devices are still ‘dumb’ when it comes to gathering an understanding of their overall surrounding environment. So he believes that mapping technology which currently helps guide Roombas throughout homes could be changed to accommodate gathering specific home dimensions, and so he’s basing the company’s strategy on that concept moving forward. “There’s an entire ecosystem of things and services that the smart home can deliver once you have a rich map of the home that the user has allowed to be shared,” he told the paper. Except, has a user “allowed” such information to be “shared?” Are consumers currently asked whether they want to permit their smart devices to spy on them? The answer to that is, obviously, no. And it’s not implied, either, just because they bought the item — or at least, it shouldn’t be. Financial research firm IHS Markit even estimates that market for smart home devices was worth $9.8 billion in 2016 and that it will grow 60 percent in 2017. In an interview with Reuters, Angle said iRobot — which made their Roomba’s compatible with Amazon’s Alexa voice assistant earlier this year — may be able to make a deal to sell the maps its machines already make to one or more of those big three tech companies in the coming years. Investors are on board already, which has sent iRobot’s stock soaring to $102 by mid-June, up from $35 just a year ago. It now has a market value of almost $2.5 billion on revenue last year of $660 million. But cheaper competitors are not the only ones facing off against Angle and his concept for digitized home invasion. Privacy groups are also screaming, as well they should be: Our smart devices were originally designed to make our lives easier and more efficient, but increasingly we are discovering they are making our lives more public and ‘marketable’ in the process.